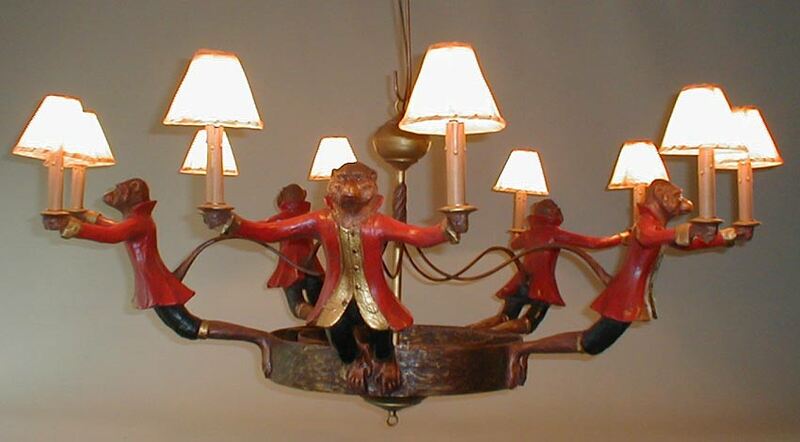 Description: 5 monkey chandelier. Can be made with more monkeys and larger size, your specs. Shades extra.